A lovely, light chicken meal that starts on the stovetop and finishes in the oven. Slit the chicken lengthwise and then add pesto and shredded mozzarella into the pocket. Fold it back together and then saute-bake it to perfection. Enjoy! Slit each of the chicken breasts at their widest section, creating a pocket. 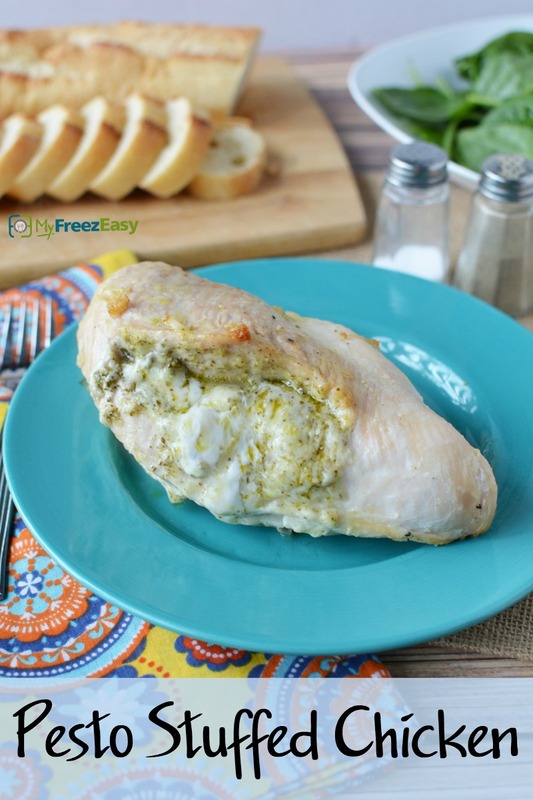 Spread the pesto onto both sides of the split open chicken breasts, then add pinchful of shredded mozzarella cheese to each. Fold closed. In a skillet, heat the oil and the brown both sides of the chicken. Transfer the seared chicken to baking dish and bake for 20 to 25 minutes, or until chicken is cooked through. Cooking time will vary depending on thickness of the chicken. Season with salt and pepper. Prepare the salad. Warm the bread. 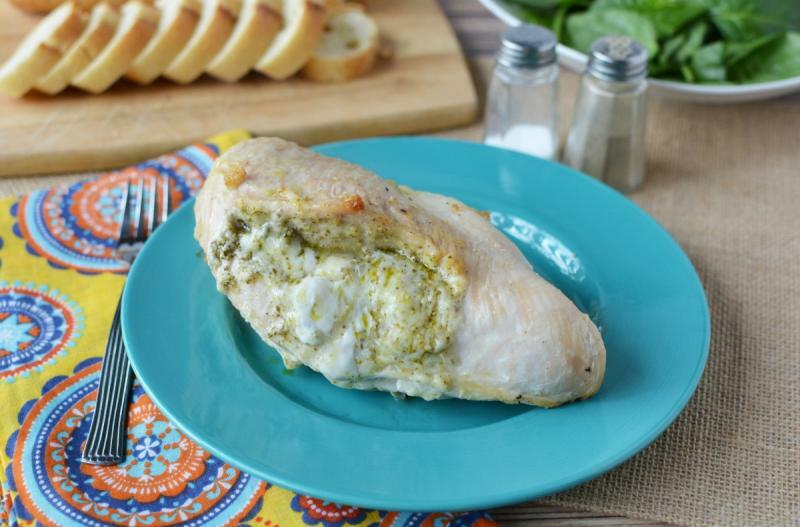 Serve Pesto Stuffed Chicken with salad and bread. Put tray in the freezer and freeze up to 6 months in fridge freezer or 12 months in a deep freezer. Thaw in the fridge overnight, or a warm shallow dish of water for about 20 minutes, before transferring to the skillet to brown and then the oven and baking as directed. Thaw completely and then saute in olive oil and brown both sides of the chicken, then bake at 400 F for 25 minutes, or until cooked through. Serve with side salad and loaf bread.